The three R's of recycling are refuse, reuse, and recycle. The first R, refuse, is probably the most important. So many things that come in unnecessary and bad-for-the-environment packaging, done in the name of convenience. Don't buy in! 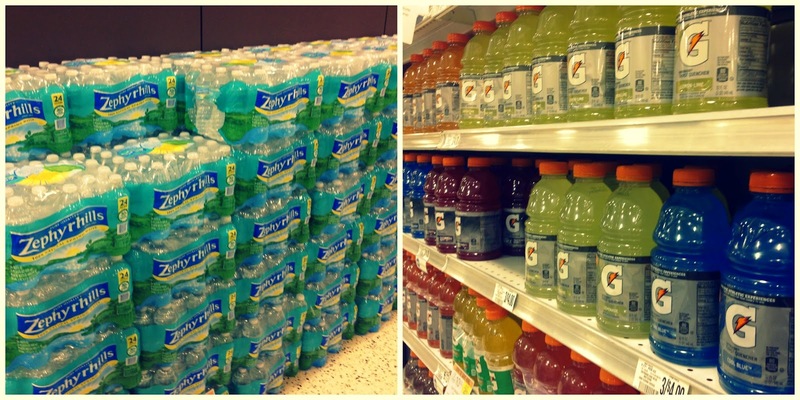 Yes, it's easy to buy a cases of sports drinks and water and throw them in the refrigerator to grab and go. But think about the repercussions. First, there's the energy it takes trucks to transport the bottles to the store, and then there's the lasting effect of the plastic bottles on our earth (450 years!). Think of all those bottles out there. Instead: Invest in a good reusable water bottle (the insulated CamelBak is my favorite) and use it all the time. Keep them filled up in the fridge to grab on your way out the door. There are even water bottles with filtration systems if you have a thing about refilling from a water fountain. The water from the tap in the U.S. is clean and safe; there is no need to buy special water. If you really must have specialty water, buy the humongous jugs that you can return to the store. And sports drinks? Buy the canister of mix and do your own bottles. Easy. When you look at things in a new way, you'll be surprised how much waste there is. Individually wrapped snack packs, cookies, fruit cups, are easy, but get discarded after a one-time use. Instead: Buy a large can of fruit and portion into reusable cups or take fresh fruit. Prepackage your own snacks and cookies with reusable baggies. Don't buy gum in plastic travel cups or individual packaging; get gum wrapped in foil and put them in your own dispenser (recycle that travel cup). Instead: Use those reusable shopping bags already! And use them all the time, not just at the grocery store. 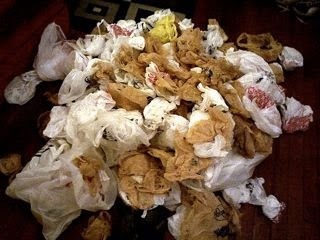 Seriously, how many reusable bags do you have sitting in a closet somewhere? I have a bags of bags myself. Keep them in the trunk of your car. Keep them in your purse. ChicoBag and RuMe are two bags that fold up small and are cute. And do you really need a bag to carry your pack of gum out of the store? Refuse them when you can. How do you really look?